Festivals. 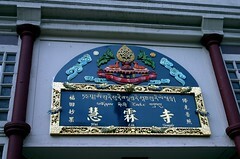 Especially celebrating redevelopment or revitalization. 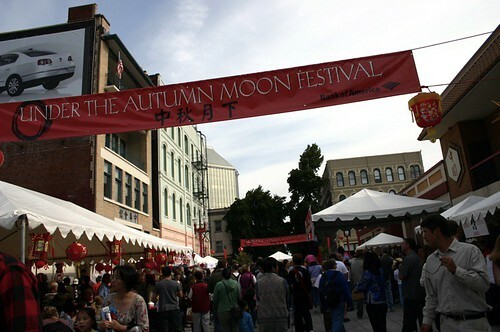 Went to the Festival of the Autumn Moon Sunday, celebrating the monster planning and construction in Portland's Oldtown/Chinatown. AdRi and I participated in the community involvement process years back, looking at design and plans, giving feedback and requests. It was exciting to see it full circle and to attend a festival that was completely packed: word was 20,000 people came just on Saturday. Wow. What's so cool about the redevelopment of the area is that several streets were designed with cobblestones and without sidewalks, specifically so they could be closed for street festivals. The thoughtfulness in design extended into one of the areas I voted for priority, street trees. 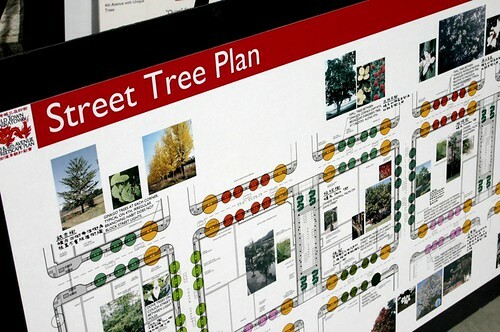 There was a specific plan for just the street trees. Having worked at one time in this area, the cherry blossom trees in spring were always a highlight: I'm so pleased to see the thoughtfulness for this area. 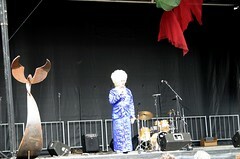 In true Portland odd fashion, the stage at the festival featured a cross section of culture representing Oldtown/Chinatown. Flanked with asian style art, the fabulous Darcelle in full drag queen regalia MC'd, and Vagabond Opera, klezmer music sung in Italian, put on a fantastic show. 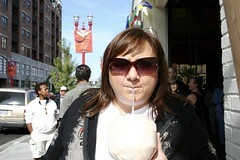 I was quite pleased to enjoy fresh coconut milk straight from the coconut. I love festivals as well! This one looks like it was especially nice. sounds like a blast. I'll tag along once I get moved there. Street trees! Sooooooo important. You can totally see the seasonal planning/planting on (at least some of) Portland's steets. 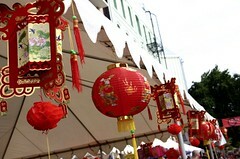 I'm sorry I missed the festival. I didn't even know about it. D'oh! Mmmm the coconut milk looks delish! I too love the festivals too but had to miss this one. 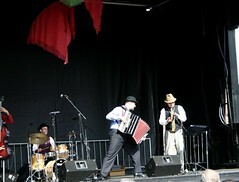 It won't be long until any event will have to take place in a tent so I'm glad the weather was good for this one.